VII Gallery, 28 Jay St. 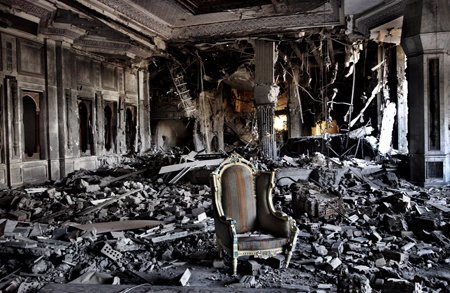 Photographer Franco Pagetti arrived in Iraq three months before bombs fell, on March 19, 2003. Photographing under the watchful eye of Saddam Hussein’s secret police proved easier than what followed. Journalists would soon need the protection of armed men and a chase car and, by 2005, even that become prohibitive. Violence spiraled out of control with daily bombings and kidnapping threats. The only way to cover war in Iraq was to embed with the American military. from 10am – 9pm for 1st Thursday Dumbo Gallery Walk. Please note that the gallery is closed on federal holidays.